First Socialist Prime Minister of Belgium, at age 39. After the German invasion in 1940, he served in the Belgian government-in-exile in London, and was the only participant of that government to continue service after liberation. In America he was briefly the first elected chairman of the United Nations General Assembly. 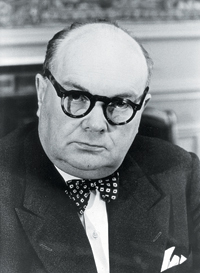 In postwar years he served as both Foreign Minister and Prime Minister a number of times. Spaak was instrumental in the formation of NATO as well as in the early stages of the European Community. He retired in 1966 when the Socialist party entered the opposition.